Meet NAWJ Resource Board Member Attorney Diane L. McGimsey, Esq. This statement establishes an aspirational moral standard for us to attain, as we all work to ensure freedom and equality for every human being. Therefore, in these challenging times, let us remain committed to these ideals, through words and actions, as well as strengthen our resolve to ensure equal access to justice for all. We are only days away from our 13th Annual Congressional Caucus, "#WETOO IN THE LEGAL WORKPLACE." We will convene with Congresswomen and thought leaders from across the nation to discuss how we can join forces to create healthy work environments which are free of sexual harassment. On June 10, 2018, the Board of Directors of the State Justice Institute (SJI) approved a $29,000.00 grant for NAWJ. This grant will be used in the coming year for Sexual Harassment Educational programming at NAWJ events. SJI is a long-time partner of educational training at NAWJ's conferences. We are grateful for SJI's continued support and look forward to another year of partnership to continue our efforts in providing relevant, cutting-edge educational training for our members. 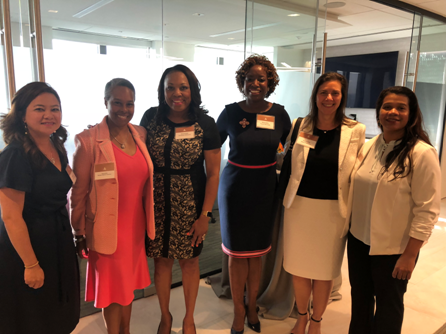 On June 28, 2018, U.S. District Judge for the Southern District of Texas Honorable Vanessa Gilmore and the business consulting firm of Alvarez and Marsal (A&M) hosted NAWJ in beautiful downtown Houston. The reception was hosted on the 33rd floor of the Bank of America building with a spectacular view overlooking Freedom Park and the impressive skyline. NAWJ President Hon. Tanya R. Kennedy provided remarks about the history of our illustrious organization, the wealth of our membership, being over 1,000 members strong, and the impressive roster of conference speakers, including Texas Natives Dan Rather and Harriet Miers, the first woman President of the State Bar of Texas. President Kennedy also enlightened the audience about our various initiatives, highlighting the Informed Voters Project, Color of Justice, Program and Women in Prison Committee, to name a few. New Judges Committee Co-Chair Judge Ronique Bastine Robinson, Municipal Judge for the City of Stafford, Texas spearheaded and organized the reception and A&M Partner Samuel Golden served as the firm's reception host. A&M is a leading global professional services firm that provides advisory, business performance improvement and turnaround management services. Companies, investors and government entities around the world turn to A&M when conventional approaches are not enough to make change and achieve results. With over 3,000 people across four continents, A&M delivers tangible results for corporates, boards, private equity firms, law firms and government agencies facing complex challenges. The event hosted federal, state and municipal court judges, lawyers from small and large firms, business persons and high-end consultants. The ambiance was energetic, anticipatory and jovial. The Annual Conference was highlighted in a special way and if effort is any measurement of success, the future for our time in Texas looks BRIGHT! Kimberly Papillon, Esq. is a nationally recognized expert on the subject of decision-making in law, education, business and medicine. She has served as a member of the faculty at the National Judicial College since 2005. She has delivered over 400 lectures nationally and internationally on the implications of neuroscience, psychology and implicit association in the analysis of decision-making. 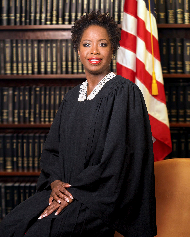 She presents to judges of the High Court of New Zealand, Supreme Court of Victoria, Australia, Caribbean Association of Judicial Officers, U.S. National Council of Chief Judges of the State Courts of Appeal, United States Court of Appeals for the Ninth Circuit and the United States Court of Appeals for the Tenth Circuit, and numerous other federal courts. She lectured to the United States Securities and Exchange Commission (SEC), United States Department of Justice, United States Department of Education, and to judges in over 20 states. Ms. Papillon has a BA degree from U.C. Berkeley and a JD degree from Columbia University School of Law. • Film Screening of "The Judge"
Rooms are available at the Hyatt Regency San Antonio Riverwalk for $229 per night, plus applicable state and local taxes, single or double occupancy. For reservations, call 888-412-1442. For more information on the annual conference, click here. In addition, President Kennedy and the Executive Committee will select 2018 honorees for the Mattie Belle Davis Award and the Justice Vaino Spencer Leadership Award. Click here to review guidelines and descriptions for all awards, including the Mattie Belle Davis and Justice Vaino Spencer Awards. For the second year in a row, NAWJ's Informed Voters Project (IVP) hosted an exhibit at The Florida Bar's Annual Convention that sparked great interest in the Project's mission. The exhibit consisted of a table where attendees could obtain copies of IVP handouts, watch IVP's award-winning video featuring former Justice Sandra Day O'Connor, and take a picture wearing a judge's robe! Volunteers from around the state—lawyers, judges, and law students—included NAWJ Judicial Independence Committee Co-Chair, Florida Supreme Court Justice Hon. Barbara Pariente (pictured left with other NAWJ members, photo left) - worked at the IVP table throughout the convention, informing convention-attendees about the Project, the importance of ensuring a fair and impartial judiciary, and the resources provided by the Project's website. Volunteers also collected contact information from those interested in hosting IVP-related events in their communities. Hosting an exhibit at bar association events is an excellent way to network and spread the word about IVP and its important work. Contact Annette Boyd Pitts at staff@flrea.org if you are interested in hosting an exhibit at an upcoming bar association event! Thank you, Melanie Kalmanson, Staff Attorney to Justice Barbara J. Pariente, for sharing news of this event. ATTORNEY DIANE L. MCGIMSEY, ESQ. Diane McGimsey has served on NAWJ's Resource Board since 2014. She is a partner at Sullivan & Cromwell LLP, a nationally recognized firm that is one of NAWJ's longtime Landmark Sponsors. She is a member of the firm's Litigation Group. Before joining Sullivan & Cromwell, she served as a law clerk to Justice Clarence Thomas of the U.S. Supreme Court and to Chief Judge J. Harvie Wilkinson, III of the U.S. Court of Appeals for the Fourth Circuit. Ms. McGimsey represents clients in a wide range of federal and state litigation matters, at both the trial and appellate level, with a particular focus on shareholder litigation and the defense of private class action securities and antitrust litigation. Her practice also includes investigations by the Department of Justice and the Securities and Exchange Commission, as well as handling matters for clients as plaintiffs in significant commercial disputes. Ms. McGimsey is active in community service. She is a member of board of the Western Justice Center, Salvatori Center for the Study of Individual Freedom, and Los Angeles based Mental Health Advocacy Services. The Daily Journal has ranked her amongst its "Top Women Lawyers" in 2016, 2017 and 2018. Law360 honored Ms. McGimsey as a "Rising Star in Banking" in 2015 and the Los Angeles Business Journal recognized her as "Women Making a Difference" in 2014 and 2015. NAWJ is happy to have the support of such an outstanding community servant – Thank You! 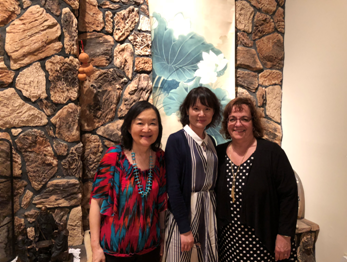 On June 28, 2018, NAWJ New Jersey members held a welcome dinner for Justice Maggie Hongyu Shen of the Supreme People's Court in Beijing, China. She is a member of the International Association of Women Judges. The informal gathering of nine, which included Hon. Rosemary Gambardella (U.S. Bankruptcy Court, District of New Jersey) was held at the home of Hon. Sue Pai Yang (New Jersey Worker's Compensation Court, Retired) in Bridgewater, NJ. The group recognized Justice Shen's appointment to the International Commercial Court, a new division of the Supreme People's Court, as an important accomplishment. Law School Outreach Committee Co-Chairs Hon. Colleen Clark (District 12-CO) and Hon. Lisa M. Fisher (District 2 -Upstate NY, will be featured in upcoming Updates. 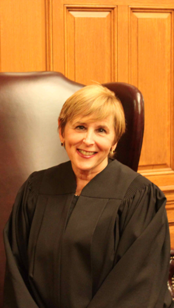 Judge MaryLou Muirhead joined the Housing Court bench in December 2006 and has recently been named as the First Justice of the Eastern Division. An active NAWJ member, she has served as District Director for NAWJ's District One since 2012. As a member of the Housing Court Department of the Massachusetts Trial Court, she has served on the Access to Justice Commission and the Trial Court Race and Implicit Bias Advisory Committee. Judge Muirhead also chairs the Statewide Steering Committee for the Tenancy Preservation Program, a homelessness prevention program through which social service providers connect with tenants, including families with children with disabilities facing eviction as a result of behavior related to a disability (e.g. mental illness, mental retardation, substance abuse, aging related impairments) to preserve tenancies. Judge Muirhead obtained her law degree from New England Law Boston (f/k/a New England School of Law) and her undergraduate degree from the State University of New York at Plattsburgh. 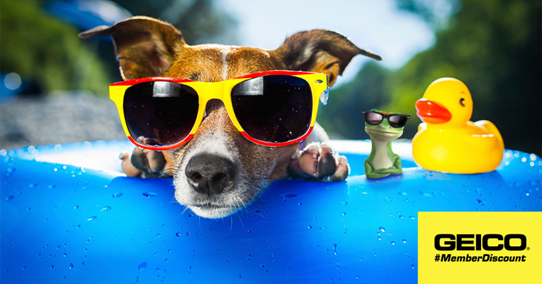 (Click here to visit NAWJ San Diego's Success Inside & Out's website). Women at the Las Colinas Detention and Reentry Facility in Santee are exploring ways to transition from living behind bars to becoming community members. Six months prior to their release, NAWJ members in collaboration with the Sheriff's Department's and associated community partners hosts workshops to assist women transition back into society. These re-entry programs' goals are to help inmates gain self-awareness of the dynamics that influence their behavior to enable them to make conscious choices to end the cycle of dysfunction which lead to repeat incarcerations, lessen crime, and enhance public safety. Visit San Diego's Success Inside & Out Program website to watch an inspiring video on the program and learn about the program's many workshops. 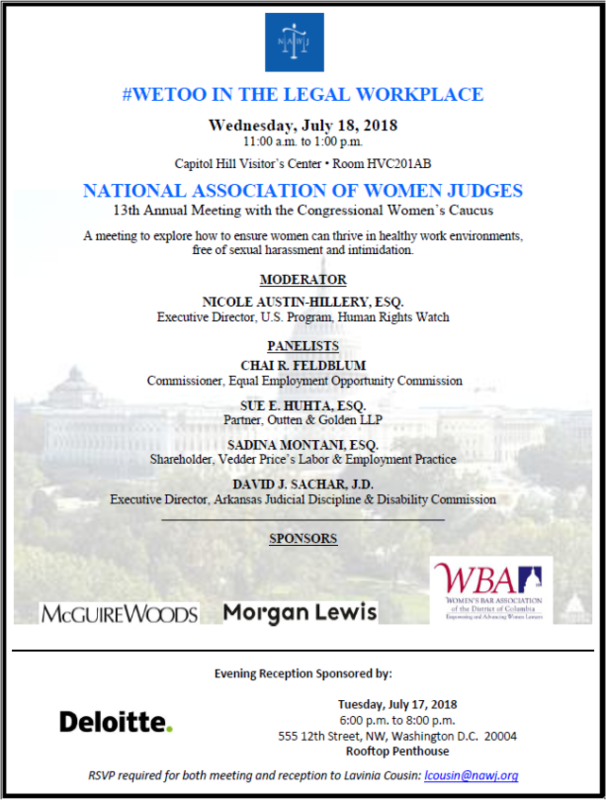 NAWJ Legislative Caucus Reception and Meeting, July 17-18, 2018. 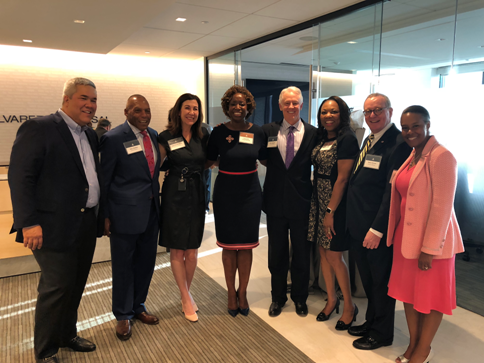 Deloitte & Touche will host a reception the evening prior, Tuesday July 17, from 6:00 p.m. to 8:00 p.m. on the Rooftop Penthouse at their office located at 555 12th Street NW, Washington, D.C. RSVP required to lcousin@nawj.org. The cost for non-NAWJ members to attend the July 18th Caucus Meeting is $40.00.